Wadjet Eye's new point-and-click adventure Technobabylon is very cyberpunk. This line from today's launch date announcement is one of the most concentrated doses of cyber-cliche I've read in ages: "CEL agents Charlie Regis and Max Lao are investigating a serial Mindjacker who is tapping into the neural wiring of seemingly ordinary citizens, stealing their knowledge and leaving them dead." And of course, it's very dystopian, too: Human interaction has been almost entirely replaced by the addictive Trance, and everything and everyone is being monitored by an omnipresent AI called Central. But cliched or not, I'm looking forward to it. Wadjet Eye has a well-earned reputation for making quality adventures, for one thing, and the "Blade Runner meets Police Quest" description in the press release is very definitely up my alley. The teaser looks good, too; not the Black Ops 3 kind of good, obviously, but intriguing, and very pretty, in that retro-flavored, pixel art fashion. 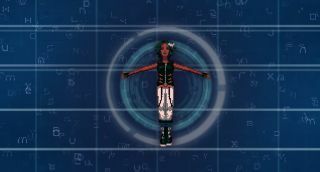 And if the music playing in the background rings a bell, it's likely because the Technobabylon soundtrack was composed by Nathan Allen Pinard, who previously created the exceptionally good soundtrack for Wadjet Eye's 2013 adventure Gemini Rue. Technobabylon comes out on May 21, and will go for $15. Details, and a preorder link if you're so inclined, may be found at the Wadjet Eye website.